Being proactive feels better and is more effective than being reactive. 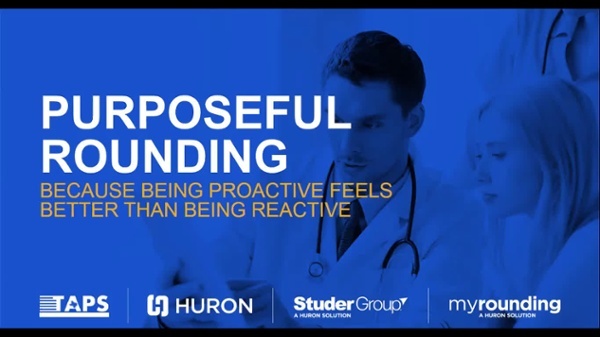 In this webinar, we will provide a high level overview of two types of leader rounding and describe how to use them to move from a reactive approach to a proactive approach in an effort impact patient and staff experience alike. Lacey brings a wealth of knowledge across various healthcare entities including insurance navigation, outpatient behavioral health, and within the hospital environment, most recently serving as the Patient Experience Program Manager at a local Colorado hospital. Her focus on patient experience remains top of mind to ensure clients receive the support and resources necessary to achieve their goals. Michael honed his information technology and change management skills with Accenture in Washington, D.C. He spent 10 years with a rural health non-profit bringing leading edge patient centered technology and education to underserved communities. Michael is also extremely proud of his service in the U.S. Peace Corps where he taught secondary math and conducted HIV / Malaria awareness programs. Katie manages content creation and marketing for the MyRounding team. She has a wide background of marketing expertise including graphic design, campaign strategy, and event planning. For close to a decade, Katie has specialized in the healthcare and technology industries, working with clients like MGMA, Studer Group, and Hewlett Packard. Katie holds a Master of Management Practice in Marketing and Bachelors of Fine Art in Graphic Design from Colorado State University. High Reliability in Healthcare (Video) Are You Confidently Wrong? We have a team of experts standing by to assist you with your rounding goals. Whether you'd like a personalized demo of our tool and how it can help your organization, or have a general question, please submit the form below and we'll get back to you shortly.